Your one time major gift donation of $100-$150K will allow us to build staff and maintain the clinic for the first year of operations in a new location. 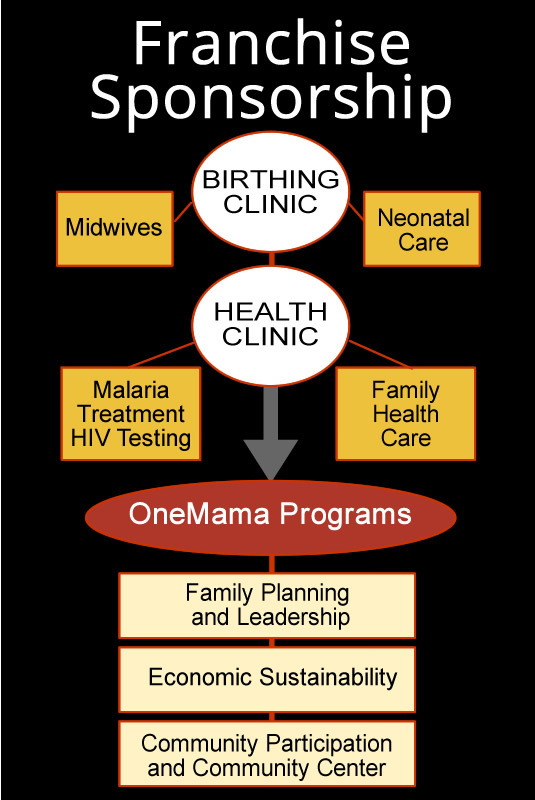 Thereafter, OneMama will supply the support maintain the clinic year to year, and help build internal support for the clinic through memberships fees, and the local Economic Empowerment programs. You will Make a Difference in 1000’s of lives! Thank you for considering sponsoring OneMama, Inc.